It’s not always easy to see when your alcohol intake has crossed the line from social drinking to problem drinking. But understanding the problem is the first step to either cutting back or quitting altogether. If you’re worried about your own or a loved one’s drug use, you can learn how to best deal with the problem and regain control of your life. If you’re ready to stop drinking and willing to get the support you need, you can recover from alcoholism and alcohol abuse—no matter how heavy your drinking or how powerless you feel. Abusing illegal or prescription drugs can create changes in the brain that makes sobriety seem like an impossible goal. But recovery is never out of reach, no matter how hopeless your situation seems. To successfully stop smoking, you’ll need to not only change your behavior and cope with nicotine withdrawal symptoms, but also find healthier ways to manage your moods. Although it can feel like you’re unable to stop, there are plenty of things you can do to overcome a gambling problem, repair your relationships and finances, and regain control of your life. Are you hooked on checking texts, emails, apps, or social media? It may be time to reassess your technology use. 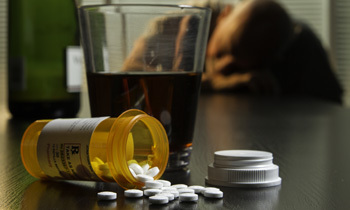 Dealing with alcoholism or drug addiction is never easy, and it’s even more difficult when you’re also struggling with mental health problems. But there is hope.